Kazakhstan’s economy and society have undergone deep transformations since the country declared independence in 1991. 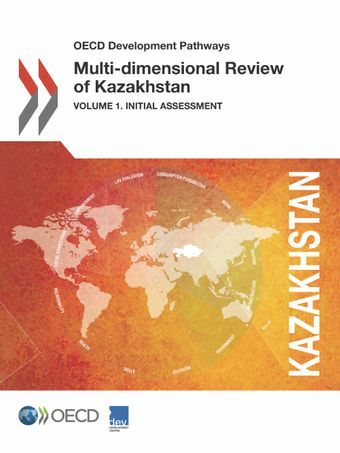 Kazakhstan’s growth performance since 2000 has been impressive, averaging almost 8% per annum in real terms and leading to job creation and progress in the well-being of its citizens. Extractive industries play an important role in the dynamism of the economy, but sources of growth beyond natural resource sectors remain underexploited. In the social arena, dimensions of well-being beyond incomes and jobs have not kept pace with economic growth. Kazakhstan has set itself the goal of becoming one of the 30 most developed countries in the world by 2050. To sustain rapid, inclusive and sustainable growth and social progress, Kazakhstan will need to overcome a number of significant challenges. Natural-resource dependency, the concentration of economic clout and a fragile and underdeveloped financial sector limit diversification and economic dynamism. Widespread corruption still affects multiple state functions, undermines the business environment, meritocracy and entrepreneurial spirit. More generally, the state has limited capacity to fulfil some of its functions, which affects the delivery of public services like health and education, as well as the protection of the environment and the generation of skills.